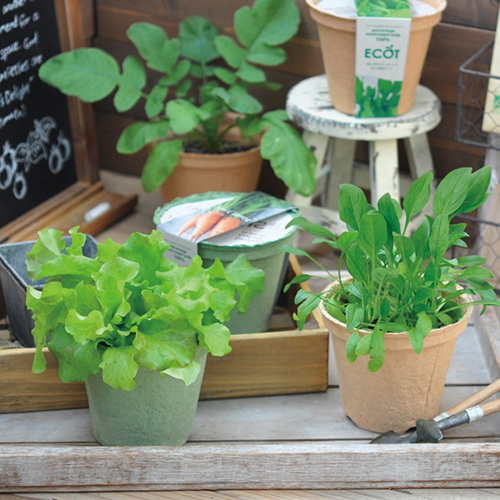 Let's grow herbs and vegetables in an environmentally friendly domestic Ecopot. After using the pot, fill it in the soil as it is and it will biodegrade over years and returns to the earth. Why do not make that start small step for our environmental using the eco pot?